Ladakh gets connected with Northern Grid power transmission line of 220 KV Srinagar-Drass-Kargil-Khlaltsi-Leh with an inauguration by Prime Minister Narendra Modi on February 3. 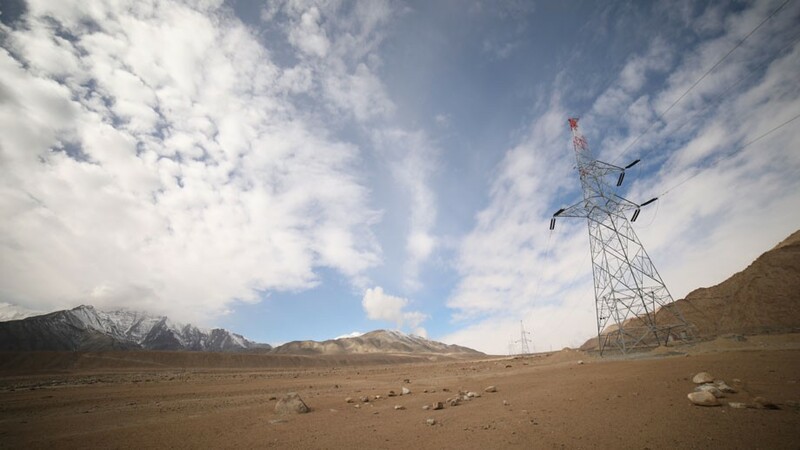 This transmission system is a step towards powering Ladakh and connecting the country’s most northern part to the National Grid. It is built at height of around 3000- 4000 meters, in snow-bound difficulty hilly terrains, stretches approx. 335 km long transmission line has been constructed by Power Grid Corporation of India Limited, a Navratna Company of Government of India, under the ministry of power. Ravi Prasad Singh, Chairman and Managing Director of Power Grid mentioned “In this project, the four new state of the art 220/66 KV gas insulated sub-stations built at Drass, Kargil, Khaltsi and Leh will help to ensure 24/7 quality power in all weather conditions”. More importantly, the project will meet the power demand of Ladakh region at economical rates. It will not only ensure quality power supply but will also give a huge boost to the tourism sector and will enhance socio-economic development of Ladakh, as quality power will be distributed to homes and business establishments of the region in all weathers. J.P Singh, Executive Director, Northern Region Transmission System-II, Power Grid “The implementation of this project was also aimed to supply power to the people of Ladakh in harsh winters and evacuation of surplus power to Kargil and Leh Hydel stations of NHPC in summers”. It is also believed that Northern Grid will not only help evacuate power in summers but will also supply power to the region in winters when temperatures dip and hydroelectricity generation do not match up. In addition, it will give a boost to the tourism sector, especially the hospitality industry in Ladakh, as quality electricity at reasonable rates will be accessible due to non-reliance on diesel. This will also attract tourists looking for an affordable stay in all weathers. Rajeev Kumar Chauhan, Director Project, Power Grid informed that this transmission project of approx. ₹ 2266 Crores will result in minimizing the massive use of diesel generating sets during winters, and thus will not only help in the protection of the beautiful environment, of pristine Ladakh but will also save import expenditure in foreign currency incurred on crude oil, thereby benefiting the state exchequer. Despite above positive comments, will Northern Grid light up the town or will it be another shattered dream of Ladakh? A decade ago, with the establishment of NHPC Project people were informed that there will be no power crisis and yet we face immense power shortage in this region. Definitely, the question poses whether Northern Grid will provide grid connectivity and reliable power supply to the strategically important Ladakh region including defense establishments in the area? Clarifying the doubts, Ghulam Ahmad Mir, Superintending Engineer EM & RE, PDD said, “National Grid is already connected with many parts of the country in the past few years but we got connected this year and will be a success. By becoming part of Northern Grid, electricity will be provided at a larger scale. For instance, if power gets disrupted for any reason with NHPC project, the entire area will plunk into darkness. Since we have Power Grid connectivity we will not be dependent only on the powerhouses. We will have the availability of other power provisions”. He also informed that the 45 MV project of NHPC remains under-utilized in the summer season and is losing the energy. The utilization of power is not more than 15 to 16 MV in summer because there is no major industry in Ladakh. Thus, the surplus power is unable to supply outside the power crisis area. So, with the coming of Northern Grid, it will be properly utilized. Prit Pal Singh Wilkh, General Manager, NHPC Limited said, “Basically it is for balancing the power requirement. In winters there is a requirement of 24 MV, so during the evening hours power is supplied whereas in the morning there is load shedding. With the power grid connection, the load shedding problem will be solved”. “NHPC is a connecting company, the transmission and the load distribution will be done by the power grid. So we simply feed the state”, he added. Power Gird Cooperation of India Limited has done its job building one of the world highest transmission lines in unforeseen weather conditions. Now it’s the distributor (JKPDD) task to generate power supply to Ladakh.